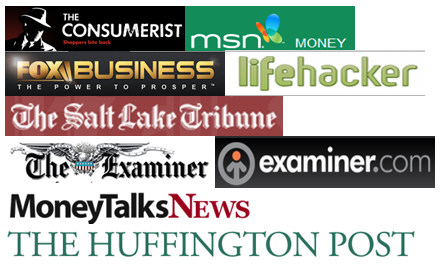 This post is inspired by JD Roth’s post, who indirectly (and unknowingly) inspired me to start this blog. Even the name of this blog was inspired by JD’s earlier blog “Get Rich Slowly”. Coming to the point,since we love to travel, I thought ending the year with a note on our travel performance would be a good move. And doing so, I can be somewhat more personal to you. In summary, 2013 was a good year for us with respect to travelling. We went to as many as 5 places in last 12 months! I get 28 days of paid leave in a year, so managing 5 destinations to travel to is not a bad performance, right? Usually we travel to our home country, India, every two years, and when we take an India trip, most of those 28 days are used up. We are planning our next India trip in Oct-Nov 2014 so, 2014 is unlikely to be a good year for travel. Usually, wherever we go to, we acquire prior and in-depth knowledge about its history, places of attraction, cuisine and its culture. I do almost all my reading online, whereas SMB, my wife, borrows books from library and carries them while we are travelling. One interesting incident, when we finished up seeing all the points of interest at Yellowstone national park a day earlier, and decided to drive through the Grand Teton park on the last day. She was reading through one of the travel books she borrowed from library, along the 42 mile scenic drive and we were stopping and enjoying the attractions as mentioned in the book. In a way, the trip to Grand Teton was very enjoying and fruitful, even without preparation and planning. The year started with a Drive-in tour to Savannah, GA. SMB was rooting for Savannah for last couple of years. She was mostly fond of witnessing southern living and tasting local cuisine. It took us little over 8 hours to reach Savannah from our home in Ft. Lauderdale, FL. We stayed 4 nights over there. Experienced one of the oldest American cities. We experienced their culture, their food and their heritage. Most importantly, SMB got the chance to dine at Paula Deen’s “Lady and Sons”! We were amazed to roam around the historic district in the city and the hop-on hop-off guided tour was awesome. 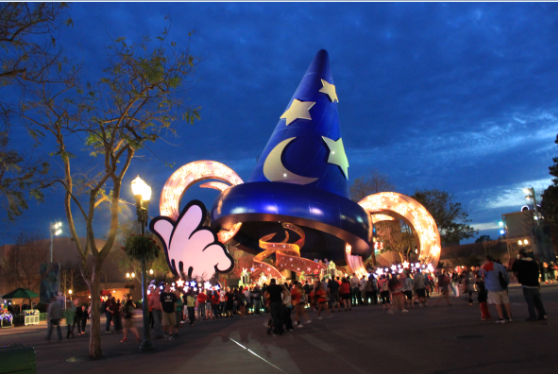 In March we went for a long weekend trip to Disney World, Orlando. Got a 3 day-3 park pass at a discount. 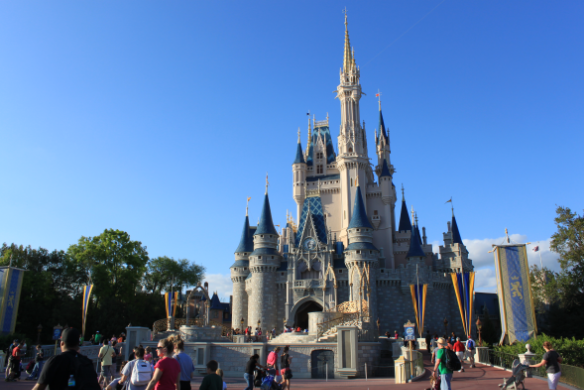 Earlier we had covered most of the Orlando parks, only Animal Kingdom and Hollywood studios were remaining, On third day we went to magic kingdom. Although we don’t have a kid, the kids in us were delighted to be there. It was a welcome break from three months of tireless grind at work. I get sick by seeing the roller coasters, amazingly I went for multiple roller coaster drives and enjoyed them to the fullest without showing nerves. Overall a fun filled quick gateway it was. 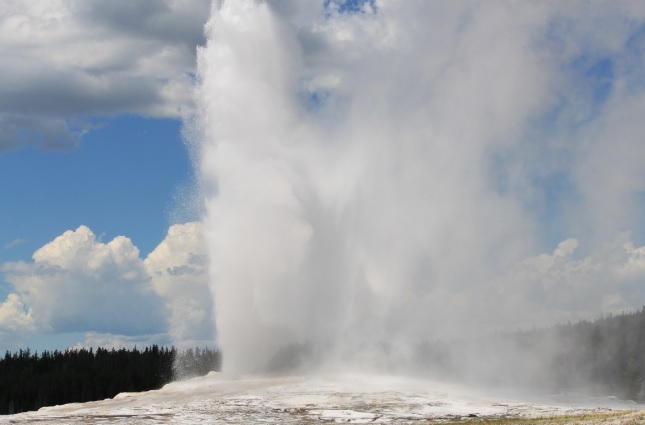 In July came out dream-come-true vacation at Yellowstone national park. I was waiting to see it since my childhood. Natural beauty, wild life and geological wonders make the place breathtaking. We stayed at three different sides of Yellowstone during our 5 nights stay there. Each entrance has its own unique beauty. The geysers, when you start feeling they are far too abundant here, you just need to remind yourself that this is abundant only here at YNP. Each sighting of wild animal and the road jams they cause are also unique to this place. 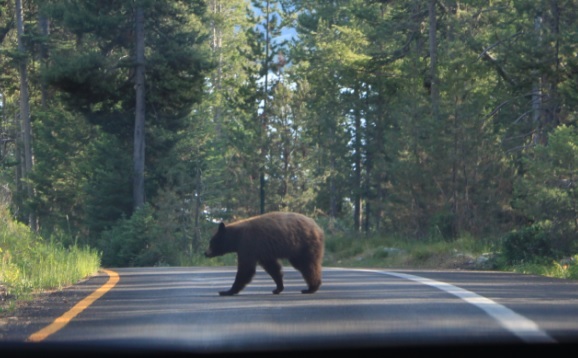 and when we saw bear in front of our car, it was trip, complete in all sense. I think a trip to YNP is the best travel experience I had so far and it’s going to remain so for long time. Then, in September we again wore out travelling gear and visited Puerto Rico. It quiet similar to where we live, a bit humid and touch bit hotter than South Florida. 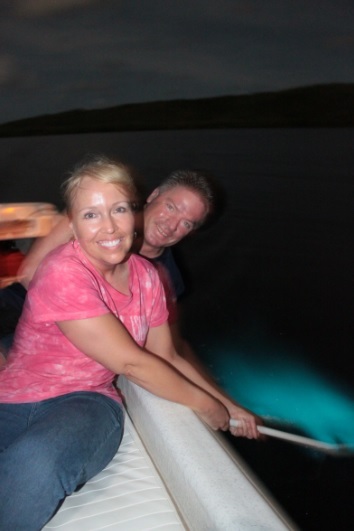 Highlight of the trip was in deed the bio bay, where water glows at night at friction. We enjoyed the pristine beaches and the old San Juan city, It was a great place to visit and witness one of the rare American places which has some history associated with it. Even a place with 400 years of history is not bad. At the end, just a few weeks back we returned from our last trip for the year – New Orleans, LA. Again, this was SMB’s choice as a travel destination, I did the least amount of study among all the trips we had this year. 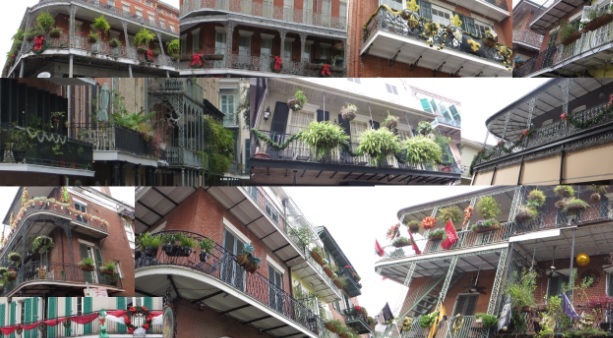 But, was pleasantly surprised with the bountifulness of the city, especially the french quarter blocks. 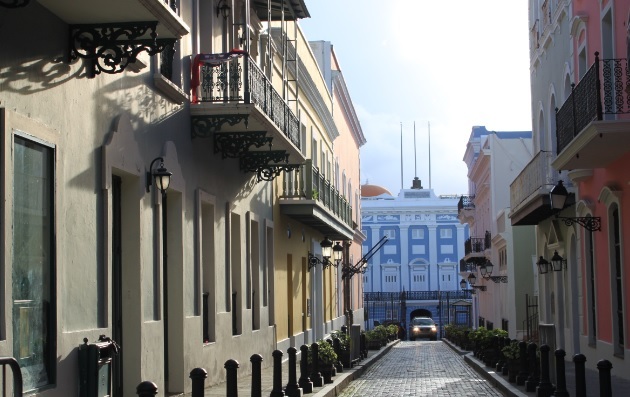 In every way, French Quarter reminded us of Old San Juan. Almost similar houses, the architecture of big doors, the balconies, etc. We were there for 4 nights and came back a day before the Christmas. We also enjoyed 12 hours drive from home. 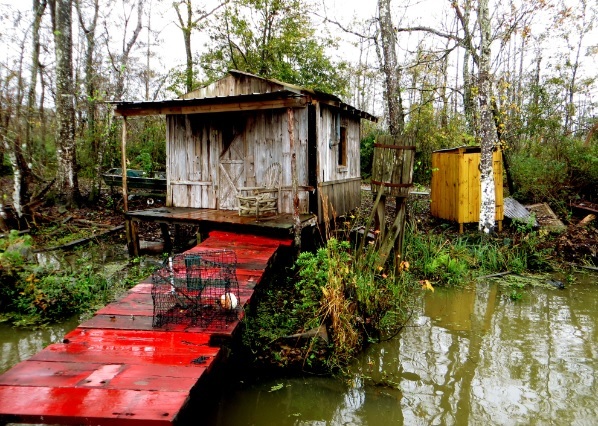 Apart from the city, we visited the Louisiana Swamps (picture at the start of the post) and one of the plantations at Oak Alley. Above all, we really enjoyed the Cajun and creole cuisine over there. We will not have that kind of culinary tour in 2014, but since we are going to India. Meet-ups with family, friends and other relatives are on the cards. And, also the real taste of Indian food, which we miss here. Readers, hope you have a great year ahead. I am glad that I shared few personal experience with y’all (southern style!). « How Much your Retirement Portfolio Gained Last Year? Wow what an amazing year of travel! Thanks for sharing your adventures and amazing pics! Looks like New Orleans is your favorite. Is it because of the places to see or the food? Happy New Year and have a wonderful 2014! I think travel should be a priority for more people. There is so much to see, learn, and experience – and having 28 days off is amazing! I can understand how you need to use the time to travel far and back to your family, so it’s nice you were able to use 2013 for more exploratory travel. 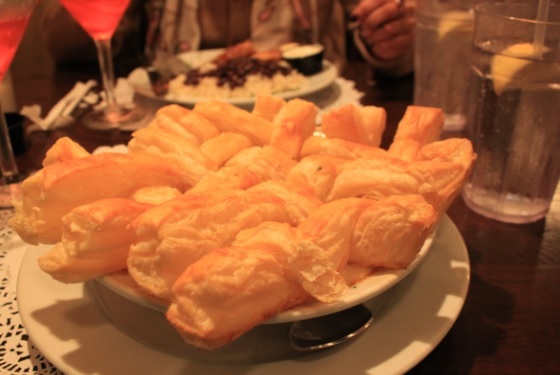 BTW, the creole dish in New Orleans looks amazing! That Creole dish tasted amazing as well. 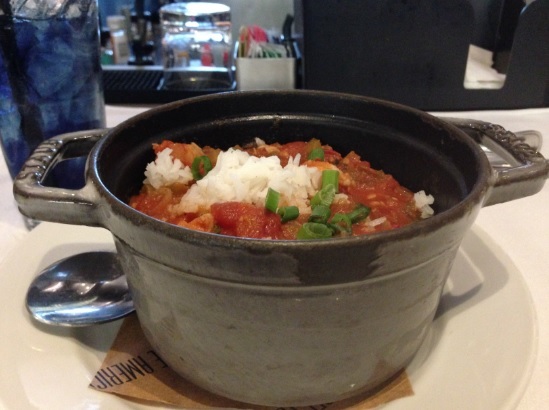 it was a dish offered in Chef John Besh’s restaurant in WWII museum. The museum is awesome in every sense, and when you add the restaurant on top, it makes a heavenly combination! 2014 will be a different year as we will get to meet with family, friends, cousins, relative, etc. Looks like a pretty great year. I’ve been to Charleston, SC (which in my head I imagine would be similar to Savannah). Bf and I are planning a trip to NC this spring to see my sister graduate from her phd program and are hoping to make it an extended trip down to GA as well. 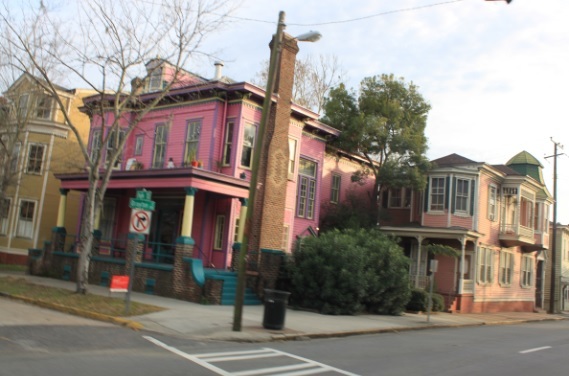 Paula Deen’s restaurant is definitely one we’d love to try. That’s sound like fun. SC has so many attractions to cover! I never visited SC or NC but definitely on the cards. One of the items which is kind of must visit is “blue ridge parkway” road trip in fall. We are not red meat eaters, so can’t enjoy every possible food out there. But even with veggies, poultry and sea food, options are so many at southern restaurants. Having 28 days of leave is awesome! You really made a good decision spending it for travelling purposes. I am also planning to travel a lot this year and I’m setting dates and marking my calendar for possible dates of travel. It is a good way to relax and to treat yourself. Thank you, yes 28 days of paid leaves is one of the motivating factors in my current job. I am happy to get those many days. Some of the vacations needs careful advance planning like in Yellowstone where you need to book accommodation at least 6 months prior. So earlier you plan more enjoying your trip would be. I love these travel posts. Someone recommended Puerto Rico to us earlier and now I cannot stop dreaming of it! It looks lovely! New Orleans is on our travel list this year as well with FitCon14! One tip I can readily give, stay in old San Juan and travel by walk! It’s an amazing place to see on foot.